Spain is an immemorial land like no other, one that James A. Michener, the Pulitzer Prize-winning author and celebrated citizen of the world, came to love as his own. 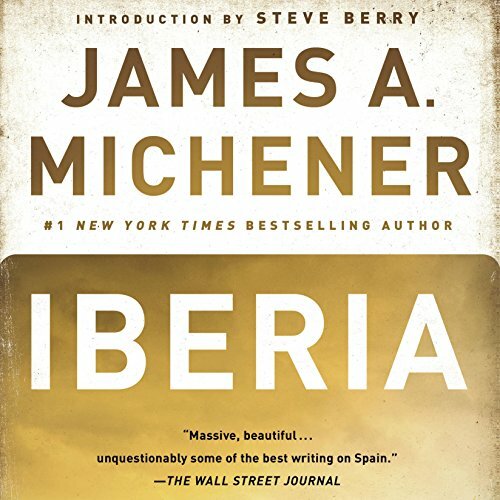 Iberia is Michener's enduring nonfiction tribute to his cherished second home. In the fresh and vivid prose that is his trademark, he not only reveals the celebrated history of bullfighters and warrior kings, painters and processions, cathedrals and olive orchards; he also shares the intimate, often hidden country he came to know, where the congeniality of living souls is thrust against the dark weight of history. Wild, contradictory, passionately beautiful, this is Spain as experienced by a master writer.